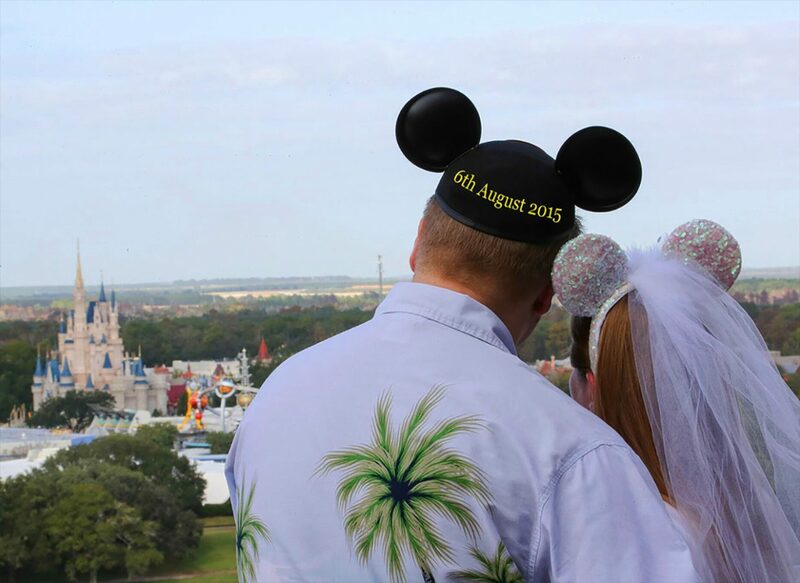 We first met Aaron and Melanie at the National Wedding show in Olympia. They both said ‘It was great to go to the show and find something totally unique and so very personal’. 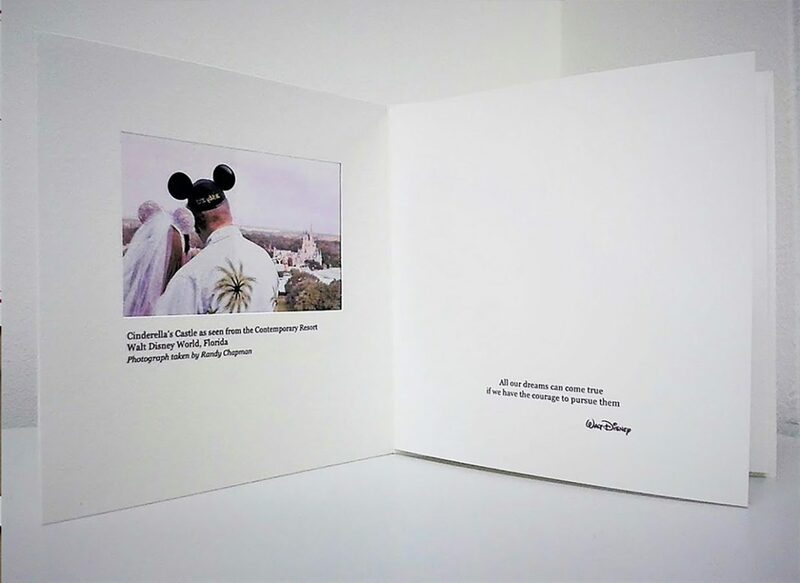 They had both planned a Disney fairy tale wedding and wanted to capture this in the stationery they used for the wedding. 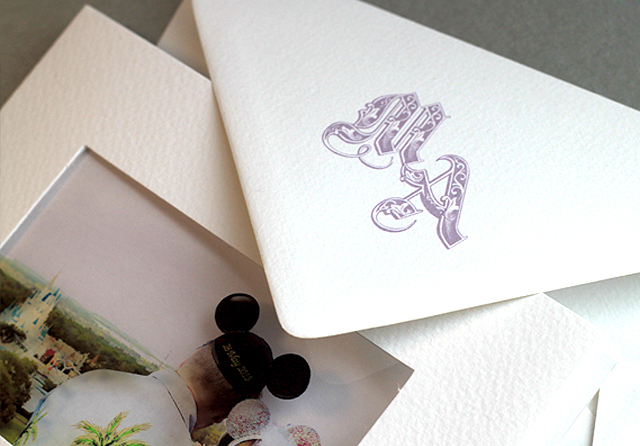 See some of their amazing designs on our gallery page. 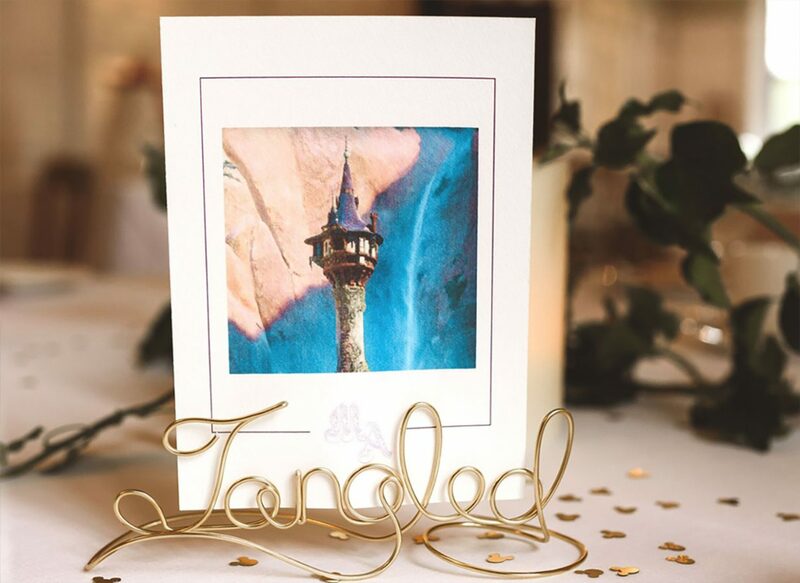 which he did at the base of the Rapunzel tower at Disney and we used a photo from after that special moment for their save the date cards. 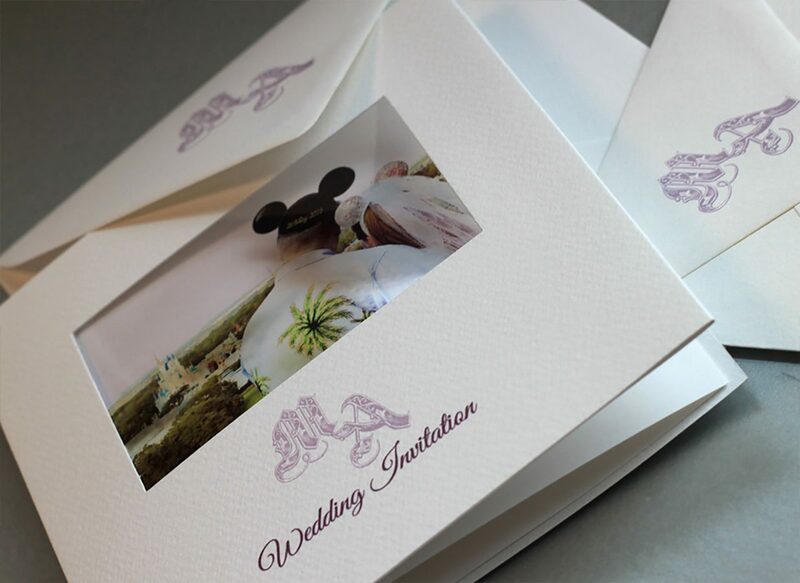 We created their stunning wedding invitations using a picture they sent us of the two of them looking out at Disney. 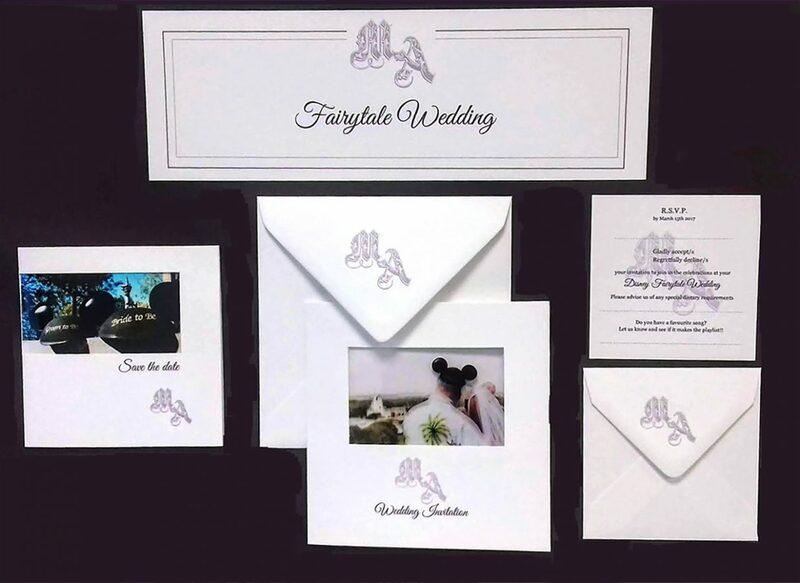 We even altered the colour of the sky so it all toned in with their theme and tied it all together with a fairy tale style monogram we designed for them and matching purple coloured fonts. 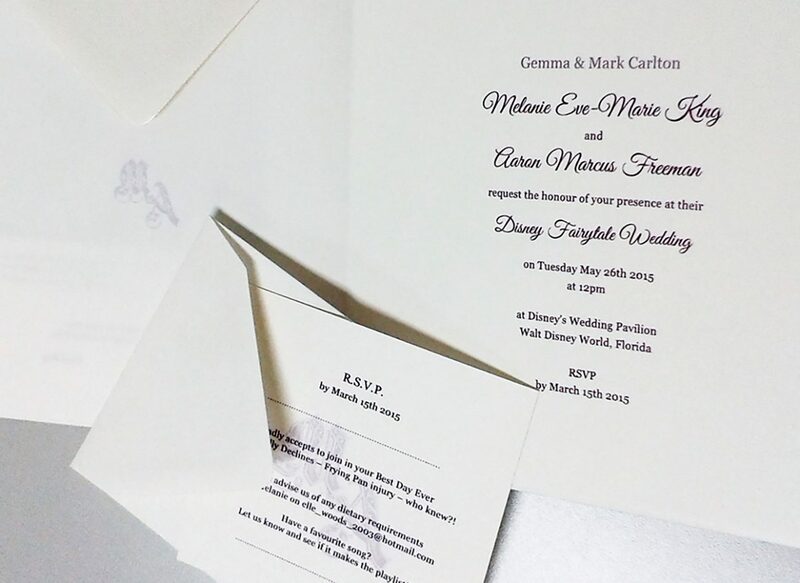 It was a complex wedding with various different wordings for American guest as English, but we showed all this on their personal design layout. 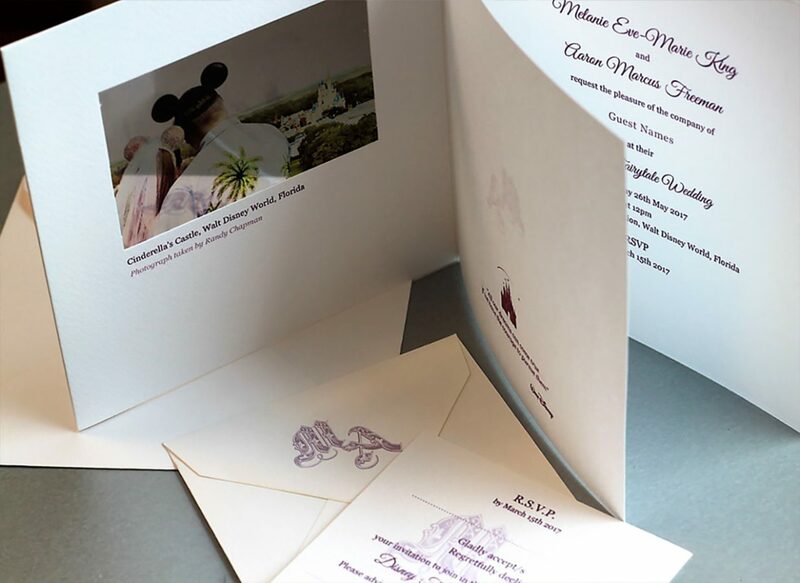 We personalised all the cards with their guest’s names and printing the envelopes too, even sending a card to the Duke and Duchess of Cambridge! 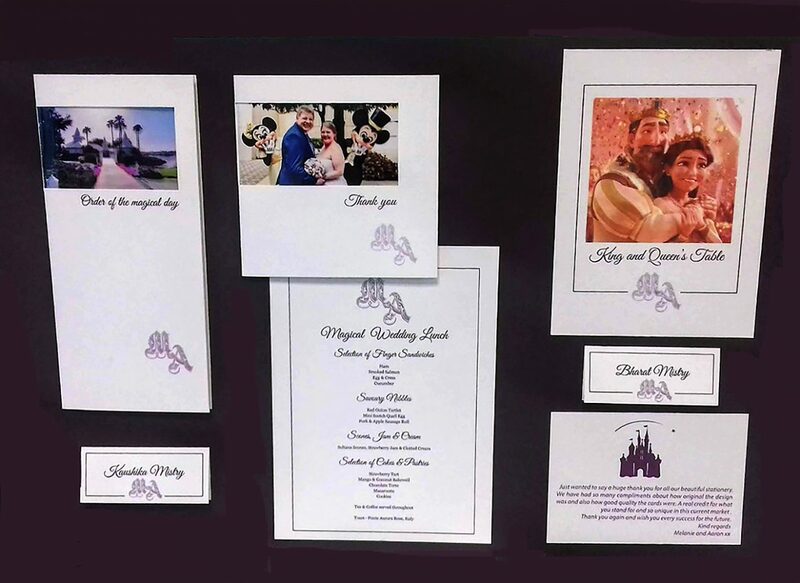 Foto-fusion also created their ‘Order of the day cards’ so guests could follow the service and all the events planned on their very special day. 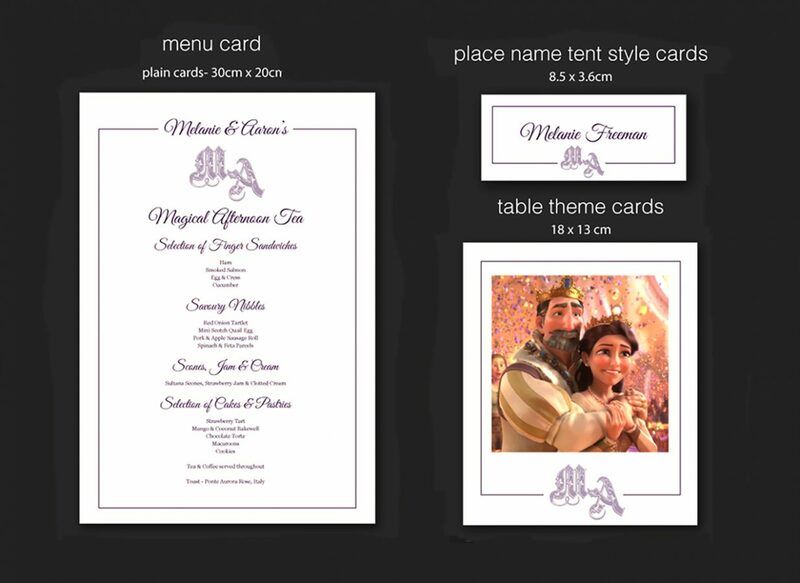 For the table plan the Disney theme carried through to each table using characters taken from the tangled film. 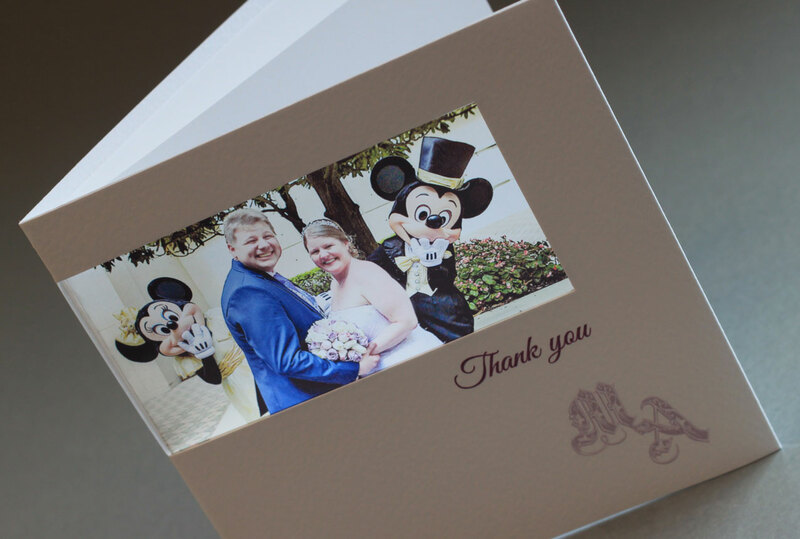 Then for Melanie and Aaron we created their thank you cards with Mickey and Minnie making an appearance from their fairy tale wedding day. But their magical story didn’t end there they were so pleased with the work we did for them they have now just designed a Christmas cards for them of their first Christmas as Mr and Mrs Freeman!